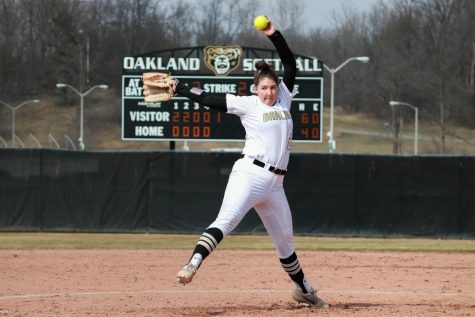 A three game win streak was on the line for the Golden Grizzlies as they opened Horizon League play on Saturday, Sept. 8. 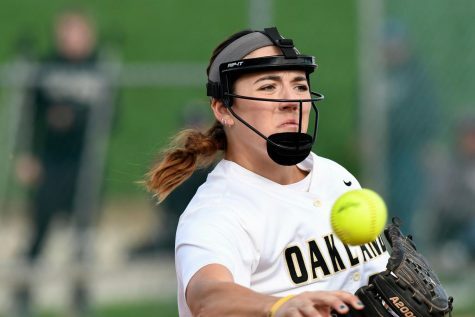 The team faced off against the University of Illinois-Chicago (UIC) Flames on their home turf, and were unable to continue their winning streak, losing 4-1. The Flames were the preseason number one team in the Horizon League, and came into this game with a 3-1 record. 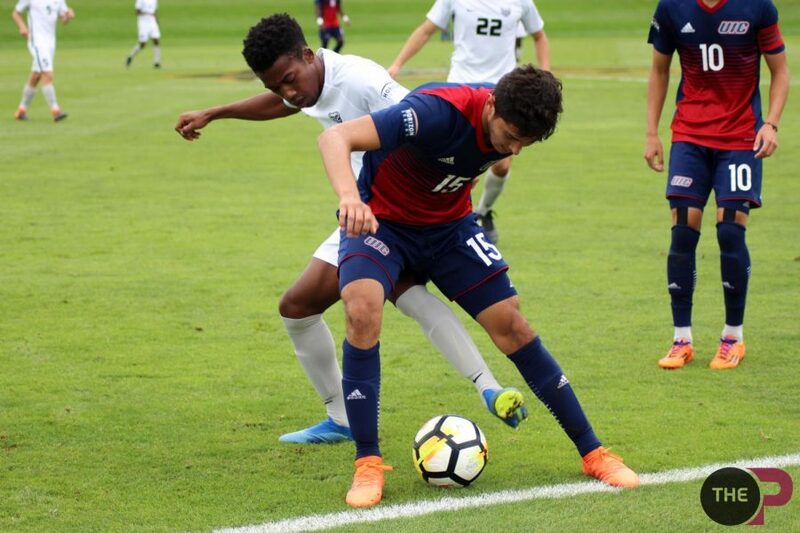 With their only loss coming on the road at Drake University, UIC was the number 75 team in the nation according to topdrawersoccer.com. 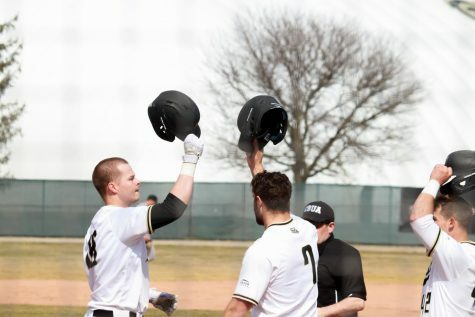 This put them as the highest ranked Horizon League team. This loss put Oakland’s record at 3-1-1, making this their first loss of the season. UIC came out of the gates hot, and put up a quick goal in the first minute of play. Jesus Perez set Oscar Gonzales up for the header, and with only one minute and one second gone, UIC had a 1-0 lead. The fast pace of play continued for the opponent, as Max Todd placed a ball in the corner to put UIC up 2-0 at the six minute mark. The speed of UIC’s forwards was the difference in the early game, as they were very good at dribbling through the defense and outrunning everyone. Oakland did answer back, as junior Correntin Diverres juggled a ball right in front of the goal before striking it beautifully into the net. After ten minutes of play, three total goals had been scored. Oakland trailed by just one goal with 80 minutes left. UIC would keep up the quick pace of play, and it was a back and forth game for the rest of the first half. Both teams stood strong on the defensive end, but UIC’s senior forward Markelle Sadler stretched the lead back out to two at the 40 minute mark. Oakland was still struggling to keep up with UIC, and were getting consistently beat on defense. The preseason favorites kept the pressure on in the second half, and held strong on defense. Oakland had multiple goal opportunities, but were stifled by the defense or missed open shots. This allowed UIC to keep up offensive pressure, and add a fourth goal to their total. After 40 minutes of back and forth play, Sadler scored once again on a breakaway for UIC, putting their lead at 4-1, effectively closing the door on a comeback opportunity. Oakland’s next Horizon League match will be on Saturday, Sept 15 at 1 p.m. in Detroit versus the University of Detroit Mercy Titans. Their next home game will be on Tuesday, Sept 18 at 7 p.m. against Dayton.